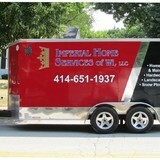 IHS was opened, in 2012, as a full service Handy Man company. After over 15 years in the hardwood flooring industry, I decided it was time for a change. We hold a high standard of customer service and quality workmanship. We believe, “If it’s not good enough for our own home, it’s NOT good enough for our customers.” IHS is a full service handy man company. This means we will do something as simple as hang a picture on your wall or as in depth as replace your deck. We offer full snow plowing/removal as well as salting. We have a specialty service in hardwood flooring. We offer installation, repair and refinishing. I, as the owner, am NWFA (National Wood Flooring Association) certified in installation, sanding and finishing. Do not be afraid to ask about a service needed, if there is something we are not capable of doing or if a licensed professional is required, we have a portfolio of professionals at our disposal for such situations. About The Owner My name is Bob Kalma, I am a 41 year old father of two. My children are eleven and six, a boy and a girl respectively. I have been married for 19 years, this August. Previous to opening my own handy man business, I worked in the hardwood flooring industry, installing, sanding and finishing hard wood flooring. I have lived in the Hartland area for the last 18 ½ years, and have owned rental property for just as many. Owning rental property is what inspired me to become a handy man. 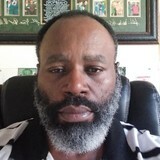 Mr. Adams Handyman Service Was created by Calvin Adams Sr. in 1987 started by doing odd jobs with my father at a young age..Progressed and fell in love with the trade and wanted to master them. Since then i have added Calvin Adams Jr.( my Son) to the business in 1997. Mr. Adams Handyman service has been a Father& Son business through out the years. We strive to improve our (Handyman) skills in each and every home that calls us for work, what ever the work may be. However if you are looking to improve your home, my son and I are ready and willing to WORK HARD for YOU. License and Insured. THE FIX! Handyman Service, For All Your Household Repair Needs. 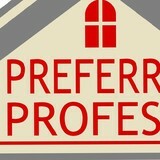 Specializing in Kitchens / Baths, Plumbing Problems, Electrical Issues, Carpenter. Just Give a Call we do it All, Also Doing All Types Of Tile Work. We take pride in making are costumers happy and satisfied with are work and always finish a job on time and done right. 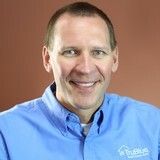 We are the safest and most trusted home improvement and maintenance professionals in the biz. We pride ourselves in customer service and doing the job right the first time. We are a small local company that can provide many home improvement and maintenance services. We value our customers and truly think of them as friends. Welcome to my website! Here you can learn all the latest news about Brian Mohr & BMohr Handy LLC, view photos of my work and keep in touch. I am excited to share my projects, talents, and interests with you and hope you find everything you need. Please do not hesitate to give me a call with further questions or to set up an appointment. 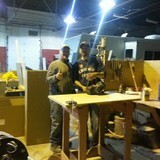 Handyman and remodel projects is what we do. We do also offer light gardening, dog walking and interior window cleaning. Let’s face it: we aren’t all skilled in the home repair department. A Sussex handyman, however, should be able install or repair just about anything in your home. From hanging pictures to repairing appliances, they do it all. Most local handymen in Sussex, WI are capable of completing any basic home repair, though some may specialize in different skills than others; so if you’ve got a specific job in mind, make sure the handyman service you consider hiring is up to the task. What can a local Sussex handyman do? While home handyman services in Sussex, WI usually cover most of these things, sometimes it’s better to hire a specialized professional so do certain jobs, especially if it’s related to major plumbing or electrical fixes. Here are some related professionals and vendors to complement the work of handyman: Heating & Cooling Sales & Repair, Plumbers, Electricians, Roofing & Gutters. Find a Sussex handyman on Houzz. Narrow your search in the Professionals section of the website to local handyman servicesin Sussex, WI and read reviews and ratings to find one that fits your needs.